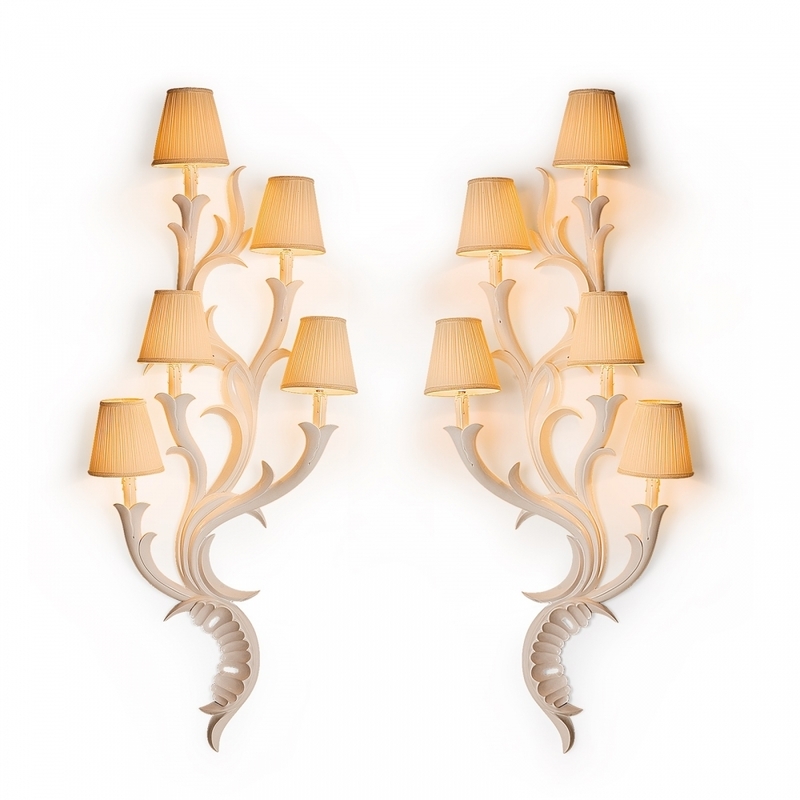 Delightful 5-branch wall lamps in white lacquer for contemporary styling. Lamp Shade: Off-White. Sold as a set.